The 1938 Diamond-T Smokeater is a 500 GPM pumper. The truck was built by Peter Pirsch and Sons and has been owned by the Gibbstown Volunteer Fire Department since it was new. 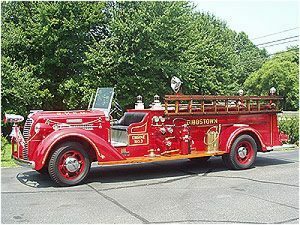 It was in active service for over 30 years and was restored by the members of the fire department in 1977.